SHOWTIME Sports released a video feature recapping the first fight between David Benavidez and Ronald Gavril ahead of their WBC Super Middleweight World Championship rematch this Saturday, February 17 live on SHOWTIME from Mandalay Bay Events Center in Las Vegas. 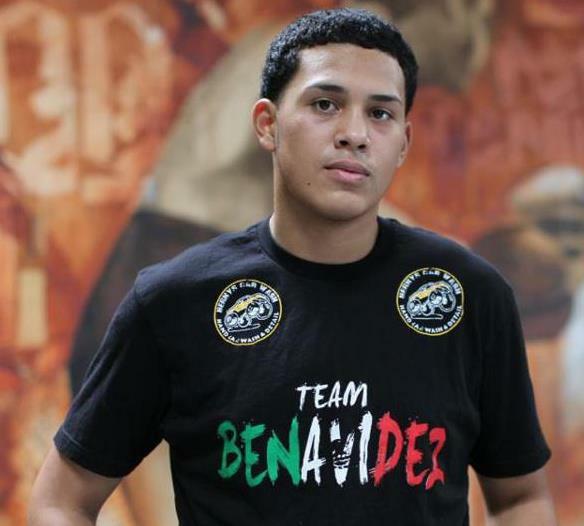 Benavidez will defend his super middleweight title against Gavril in the co-main event of this Saturday’s SHOWTIME CHAMPIONSHIP BOXING telecast headlined by Danny Garcia vs. Brandon Rios. The action gets underway at 10 p.m. ET/7 p.m. PT with welterweight contender Yordenis Ugas battling Ray Robinson in an IBF 147-pound title eliminator. The event is presented by Premier Boxing Champions and promoted by Mayweather Promotions and TGB Promotions in association with DSG Promotions. The Benavidez-Gavril rematch is co-promoted by Sampson Boxing. Tickets for the live event are available at AXS.com.